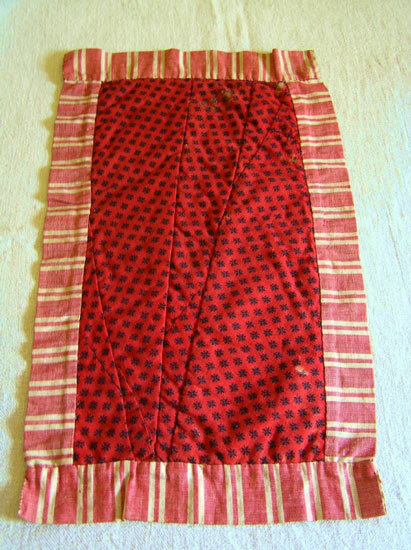 This unusually pieced doll quilt is quite striking. 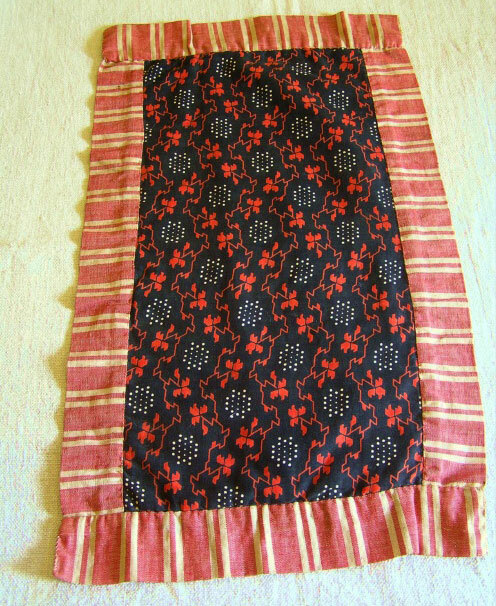 The top is sewn out of cotton calicos while it is backed in a fabulous black and red wool challis. It is in excellent condition with no rips, holes or tears and was purchased in Lancaster County, Pennsylvania. Looks great on a doll bed, wall, table or in a collection!